The tiny town of Pond Inlet (pop. roughly 1,500)—called Mittimatalik in the local Iniktutut language—is out there, on the northern tip of Baffin Island in the Canadian territory of Nunavut. To put it in context, Pond Inlet is 2,000 miles due north of Montreal, and some 1,200 miles south of the North Pole. This is the launching point for Arctic adventures, including camping on land-fast ice (sea ice that’s attached to the coastline) near the “floe edge,” where the winter ice meets the open water. 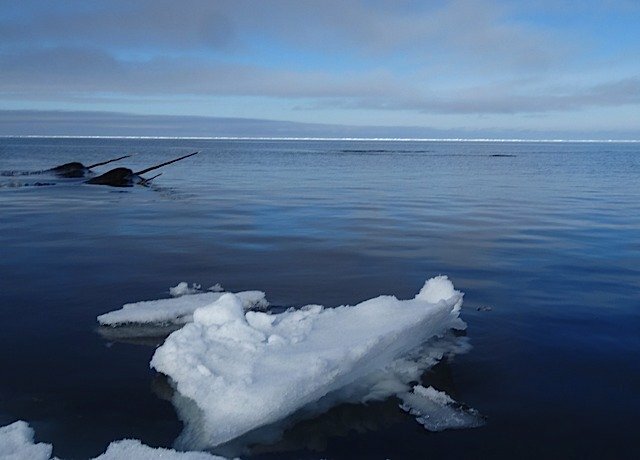 Sea kayaking tours wend between icebergs and narwhals in Inuit country.